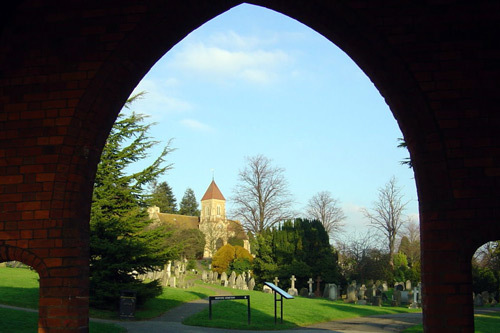 Many people pass Foster Hill Road Cemetery every day without giving its treasures a second thought, but this is a beautiful, unspoilt green landscape that is open for everyone to enjoy, just a short distance from the town centre. 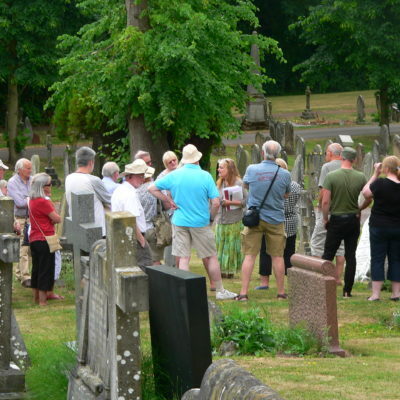 The Friends of the Cemetery help to promote the conservation, protection and improvement of its physical and natural environment. A small group of volunteers restore headstones, uncover ivy from hidden graves, and keep the cemetery tidy. They maintain conservation areas, with the full range of traditional flowers flourishing in their natural environment, including rarer orchids, like the Early Purple Orchid. A rare Strawberry Tree is looked after with the help of Kew Gardens. It is an environment where wildlife flourishes, with a healthy number of birds, bats, foxes and deer. There is possibly no more impressive view of Bedford than that from the cemetery heights, where you can see the Cardington sheds and the Sikh temple in the distance. The Chapel has been restored with the help of a heritage lottery grant and is now used by the Friends, in particular the working party who meet every Thursday. It is also used for special events and talks and there are plans to use this unique space for other community activities in the future. 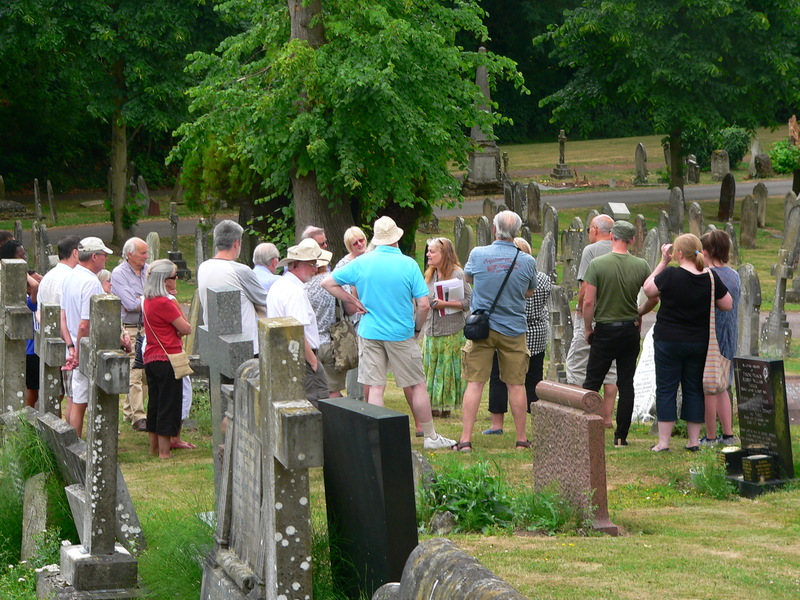 There are guided walks during the summer months through the cemetery grounds. 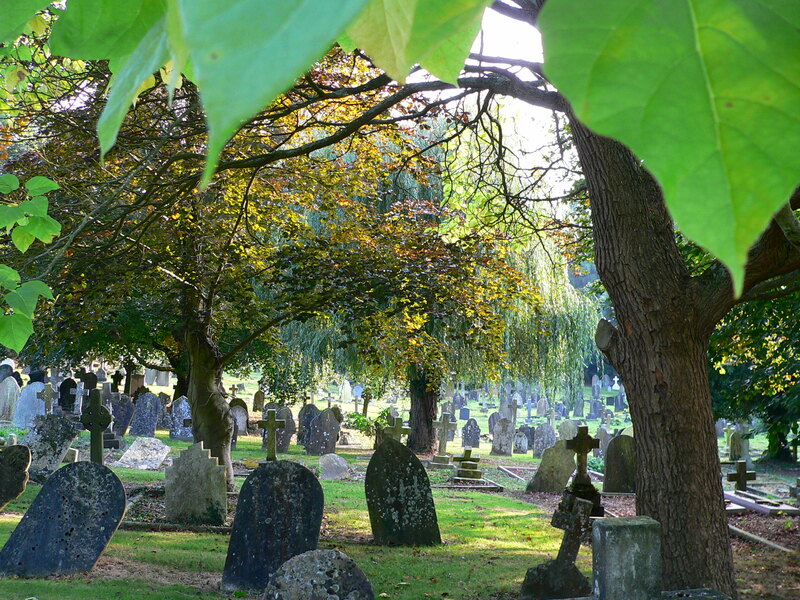 These fascinating, leisurely rambles try to coverall aspects of the cemetery’s life (or death). Learn about murderers, their victims, prison reformers, soldiers, suffragettes and Victorian funeral etiquette. 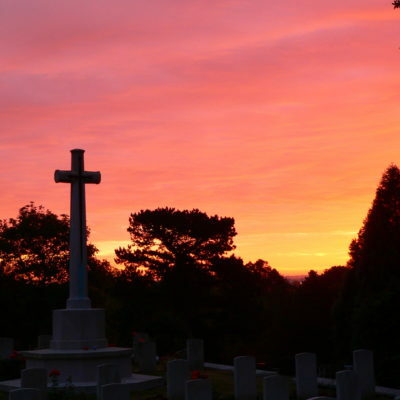 See the Highland Soldiers who invaded Bedford in 1914, the Messiah who was the ‘Daughter of God’ and how and why the cemetery came into existence, its organisation and its future. 24thNovember The Wisdom of Sally Red Shoes – 2.00 pm.Local Sunday Times Bestselling author Ruth Hogan was inspired to write her second novel, THE WISDOM OF SALLY RED SHOES, whilst walking her rescue dogs in Foster Hill Road Cemetery. 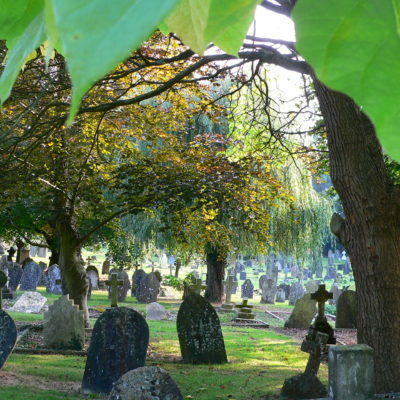 The cemetery is the setting for many scenes in the book and Ruth will be accompanying a walk which will explore the graves and sites in the cemetery that are mentioned in her book. Ruth will also be doing a short reading and signing copies of THE WISDOM OF SALLY RED SHOES, which will be available to buy on the day. This is a ticket event only. 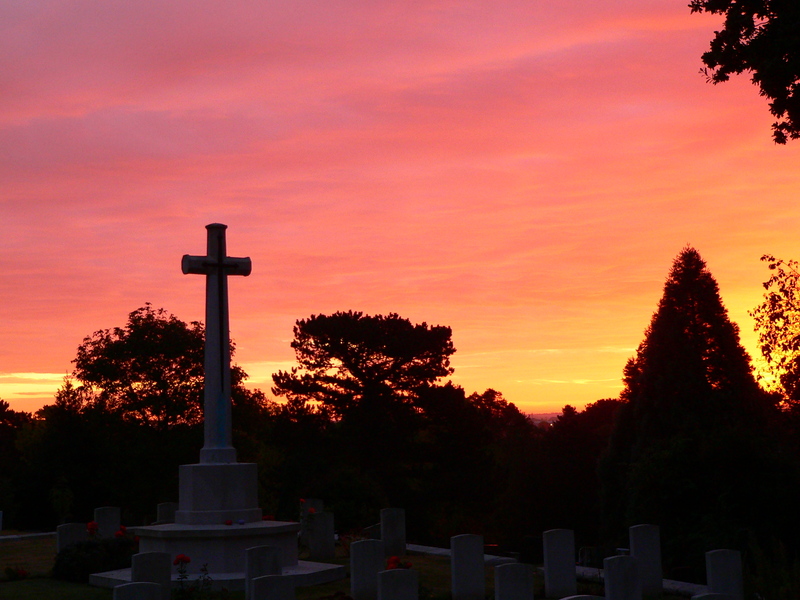 Email info@fosterhillroadcemetery.co.uk to pre-book, it’s £3.50 to include a lovely cup of tea. 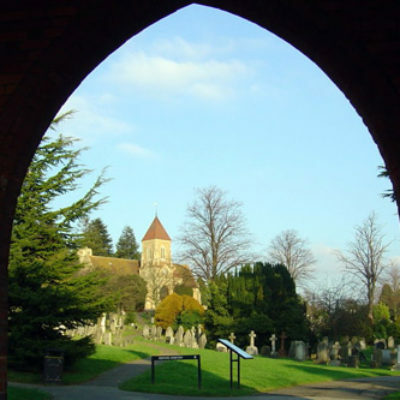 25thNovember – Carol Concert – More details here!